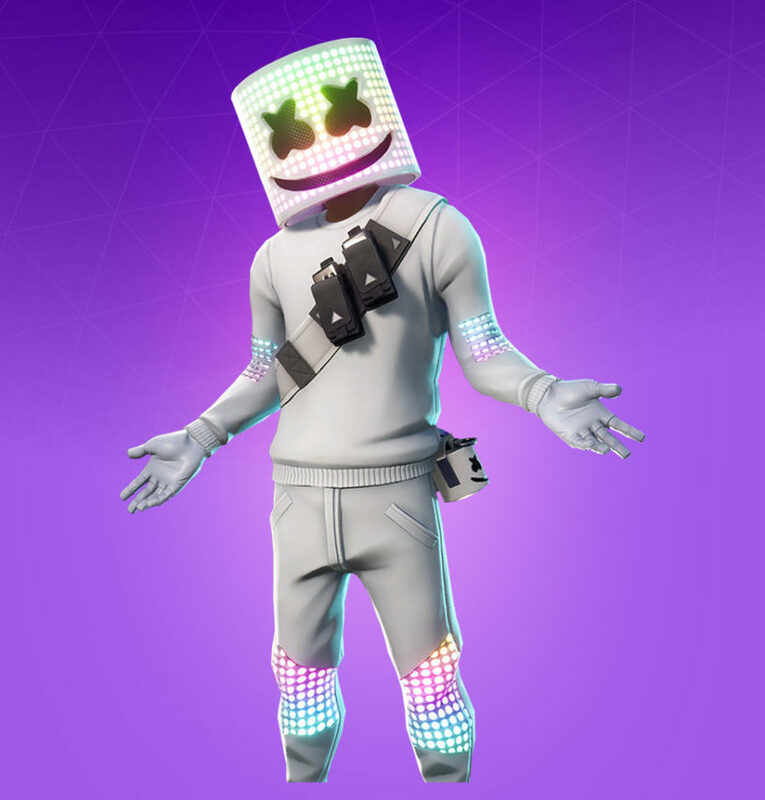 Marshmello is a popular DJ who has been known in the Fortnite community due to play with Ninja on stream and being a fan of the game. It now appears that he will be forever immortalized in the game with a skin. 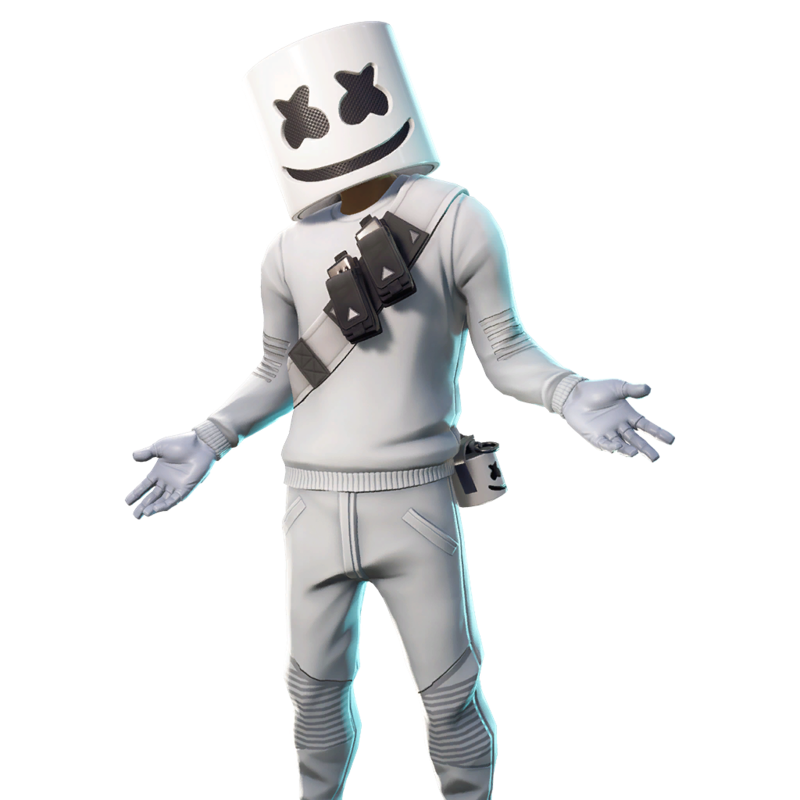 While this skin won't be part of it, Marshmello is the focus of an event called that will feature the Showtime Challenges. You can earn a spray, dance, pickaxe, and a banner icon by completing the challenges. 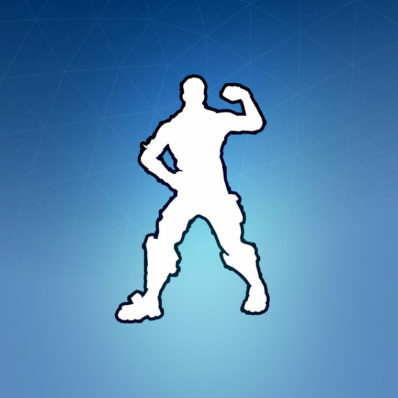 Reactive: Lights up while using musical emotes. Rating: 3.8/5. From 3.5K votes. hi, will the marshmello skin coming in the item shop again? No idea, it isn’t looking good currently. C) Can you do a reactive items section on the cosmetic galleries? D) Can you also do an alternate style section on the different cosmetic galleries? Thank you, and good Fortnite. C. That’s already available, you can find it under Categories on the Outfits/Skins page. D. Same for this one. If you have questions for me, it’s best to ask me on our Discord (https://discord.me/progameguides) or in a more generalized post (like the leaks or today’s Fortnite item shop post). I don’t like commenting on stuff that isn’t relevant to the post we’re on. I don’t know about this one returning, it might have been a limited time run with the concert. I Love this skin, and Marshmello too! Its not the best skin but it’s pretty dope. First, you should let people have there own opinions, Second, does anyone know what back blings would look good with this skin? I realize I sound like a hypocrite, telling someone off about there opinion while saying not to do that. If it sounds that way then I am sorry, I just think if someone likes a skin then you should not put them down. Anyone else find it odd this isn’t a legendary? Hey evident, will Marshmello ever return to the shop? I would think so, but who knows how the licensing works. Hey evident, the showtime challenges the reward are only the spray, glider, and the pickaxe ? Or some of the cosmetics going to be in the item shop? That’s looking like all the cosmetics, but we’ll see if something else gets added to the shop. I heard the mashmello skin will come in some sort of bundle ? I doubt it, it’s looking like it’s an NPC and won’t be a skin. Notice the date on my comment? Hey Evident. 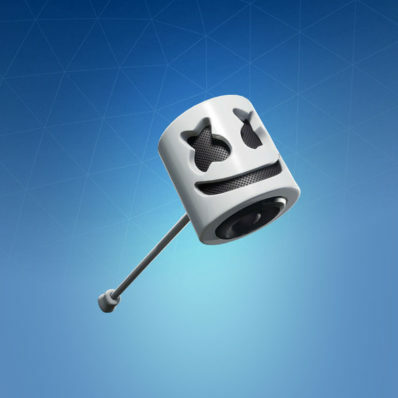 I heard that the Marshmello skin might only be for the in-game concert not for item shop? Also does it have item shop tag in the files? It’s true, it might not be a skin. I’ve updated the information above. I would imagine it’s going to be Legendary, but there’s also a possibility it isn’t actually a skin. It could just be an NPC for the event. Starter Pack is Cobalt, and The Prisoner is the Snowflal skin. 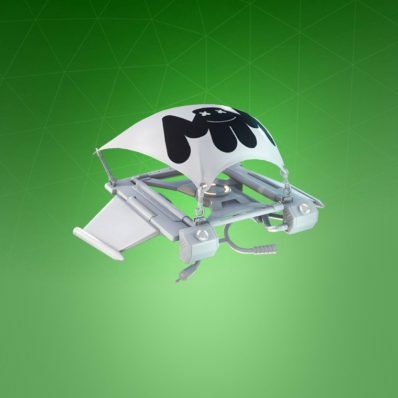 This is likely to be in the item shop during the new Showtime event.